Who are we? We are many people; we are team C.A.R.S.. One of the key factors to our success is the history and growth that we have had. Denny Houtstra, a self confessed gear head since his pre-teen years, opened the first C.A.R.S. Auto Repair Service between Jenison and Hudsonville, Michigan in 2001. Five years down the road C.A.R.S. had outgrown the space and Denny moved C.A.R.S. to a new location just off of 18th Avenue and Chicago Drive in Jenison. By the end of 2009, C.A.R.S. Auto Repair Service had again outgrown its space. More professional automotive technicians were needed, but there was nowhere to put them (apparently squeezing your employees into the rafters is an unacceptable practice). Denny and his partner and wife, Sherri Houtstra took the bold step of moving to a new facility on 18th Avenue near the intersection of Chicago Drive in Jenison. With such success, in January 2010, C.A.R.S. opened in a new building over twice the size of the old location. We added new lifts, additional diagnostic equipment and found a couple of terrific, well trained guys to round out our staff. Who wants to sit in those crummy car shop waiting rooms? Well, we wouldn’t want to either. That is why our new building has a waiting room comfortable for all ages. This customer lounge is carpeted, appointed with oak furniture and equipped with wireless internet access and satellite TV from DirecTV(TM). It also has toys for our small customers and freshly brewed coffee. We want you to be comfortable with our work and with your wait. We work hard so you don’t have to. Every C.A.R.S. team member is a certified mechanic, with the exception of our office manager, Sherri. The C.A.R.S. staff thrives off of continuing education and training programs on a regular basis. 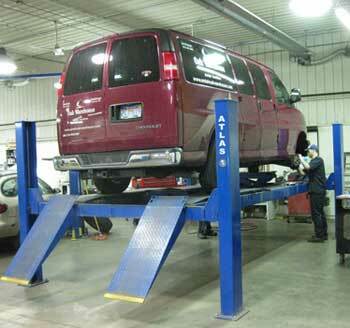 Our mechanics are ASE Certified by the National Institute for Automotive Service Excellence. Unlike most facilities where service writers have limited service experience, our service writer, Andrew holds the prestigious ASE certification. Our five technicians average over 18 years experience and our Master Technician has over 25 years on the job. C.A.R.S. Auto Repair Service is a Technet Professional Automotive Center and believe us, we know what we are doing. When you choose a TECHNET Professional center, you are choosing trained ASE Certified technicians, the highest quality parts, the latest equipment and the newest technology to diagnose and repair your vehicle. Since we are a Technet facility, our work is warranted through Technets Nationwide Warranty. This program is nationwide at over 9,000 locations. It provides you with comfort knowing that you will receive warranty service in the unlikely event you have a problem. We are proud to say C.A.R.S. is also an ASE Certified facility, an honor bestowed on only the very best automobile and truck repair centers in the country. Motorists benefit from ASE certification. It is a valuable yardstick by which to measure the knowledge and skills of individual technicians as well as the commitment to quality of the repair facility employing ASE-Certified professionals. – from the National Institute for Automotive Service Excellence.